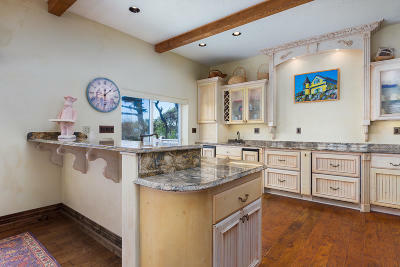 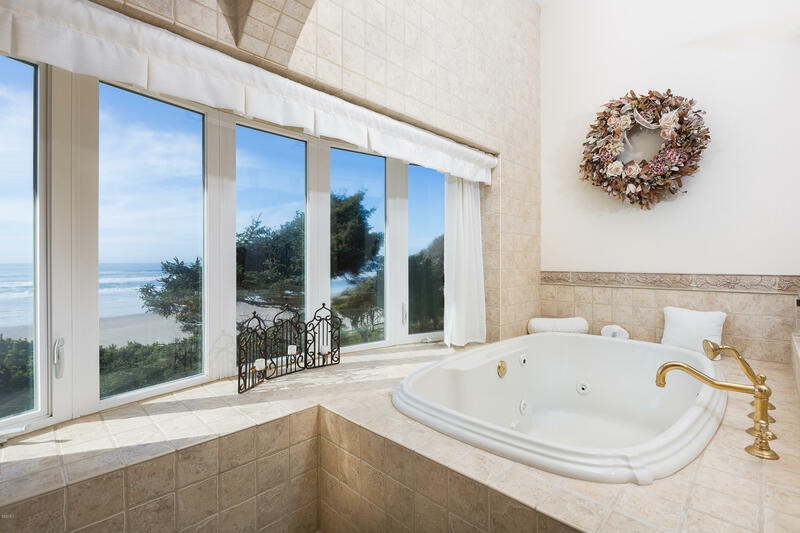 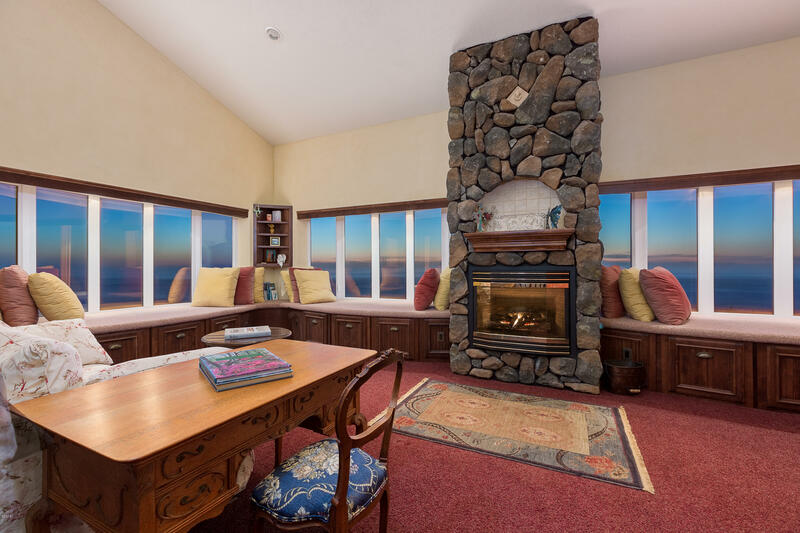 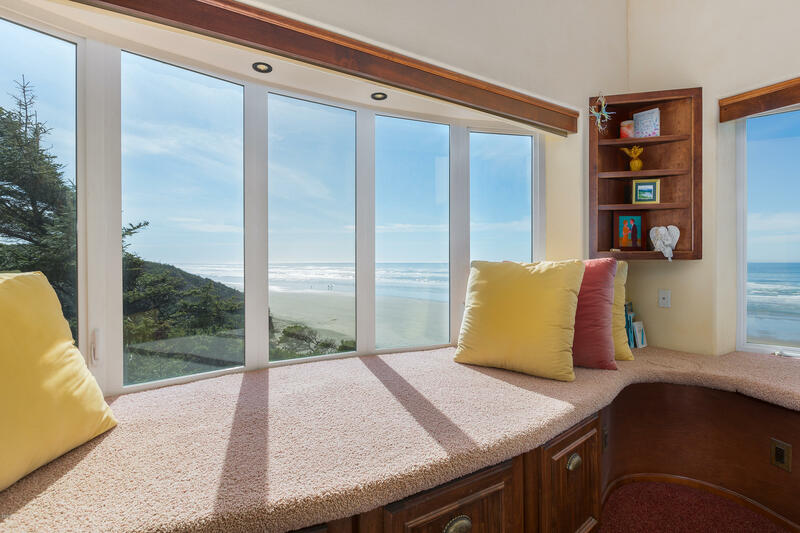 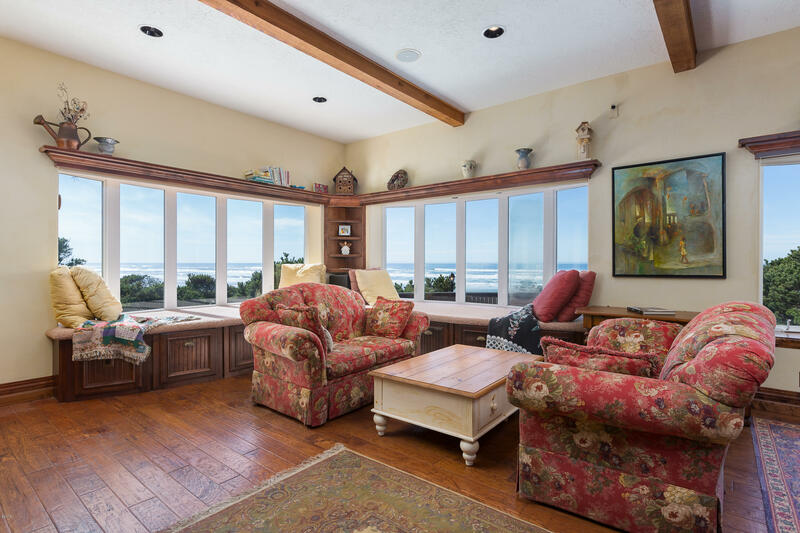 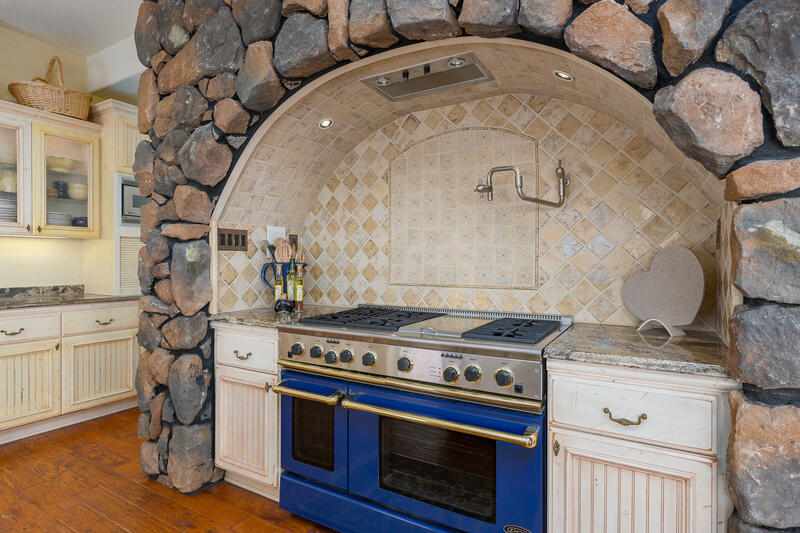 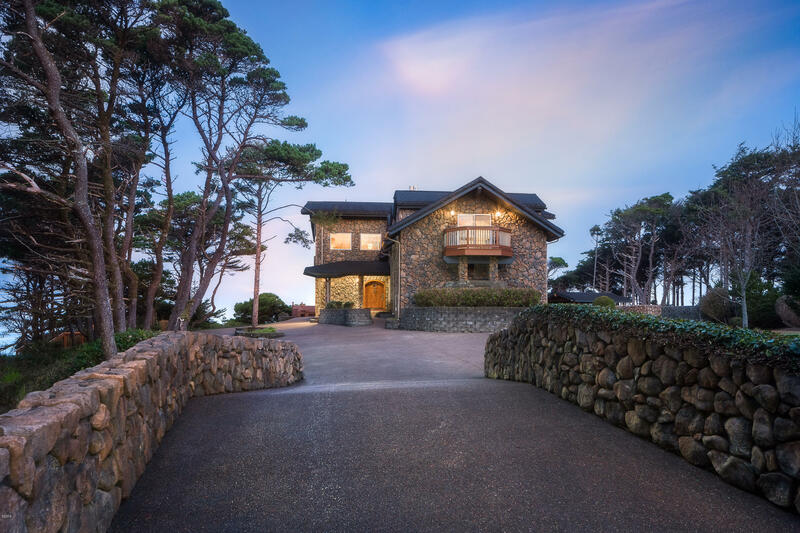 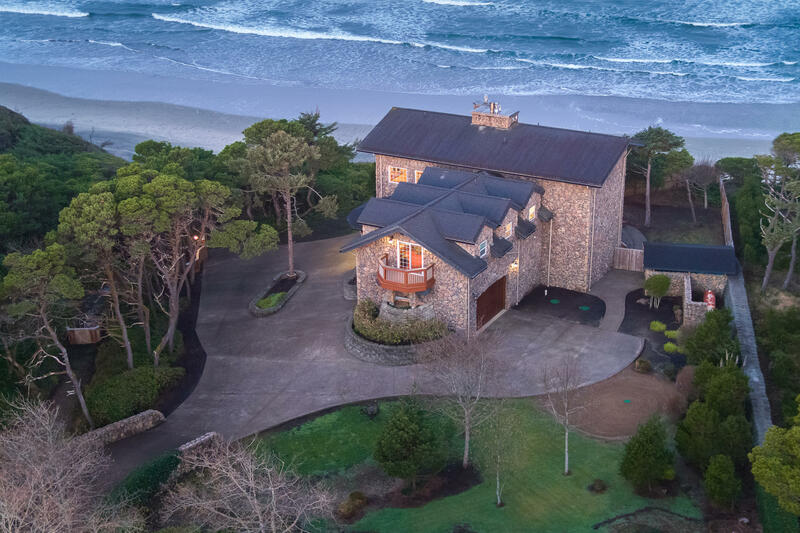 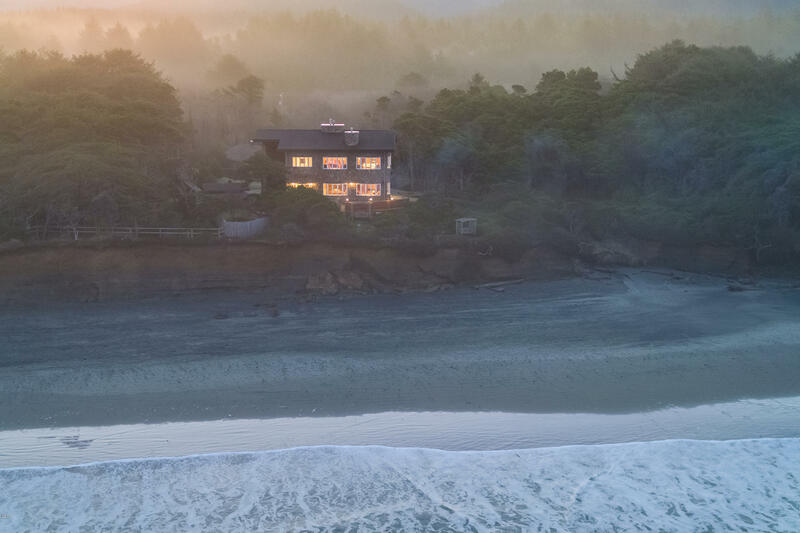 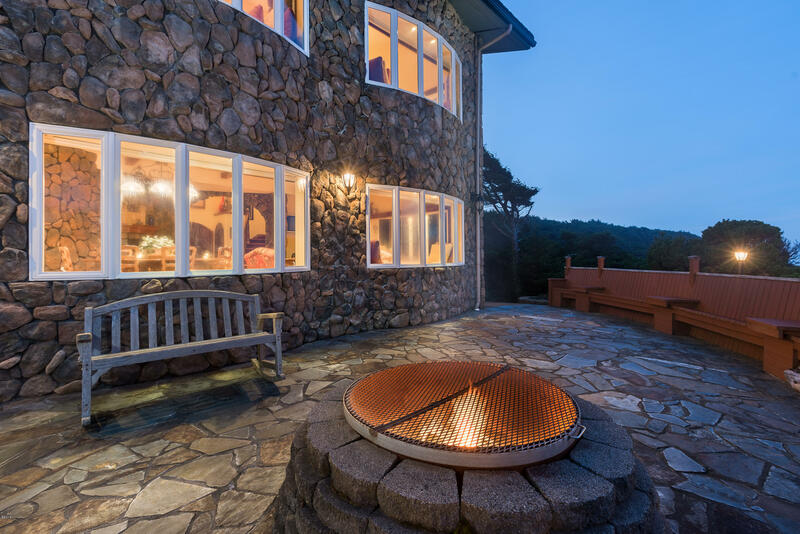 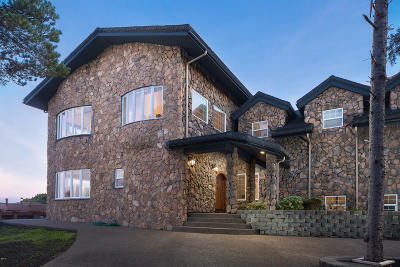 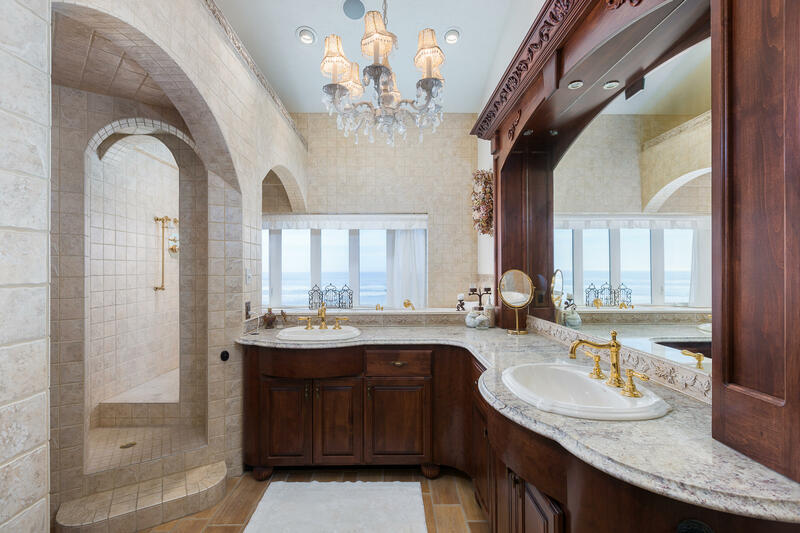 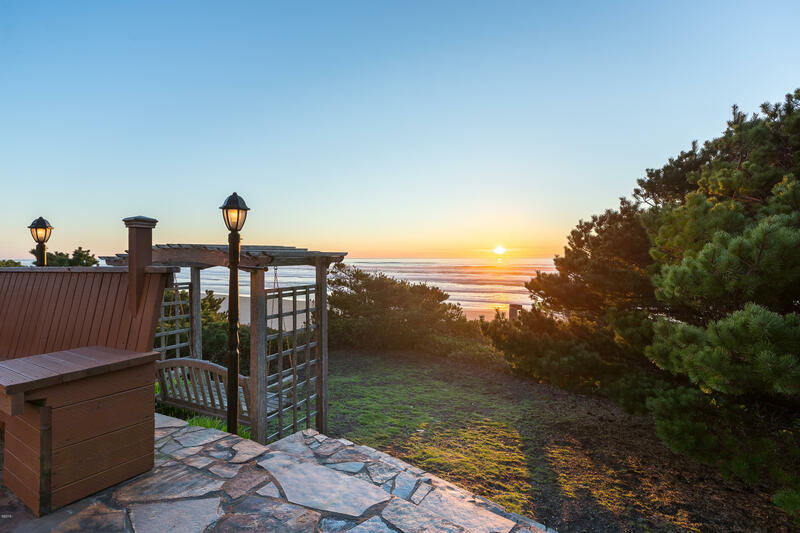 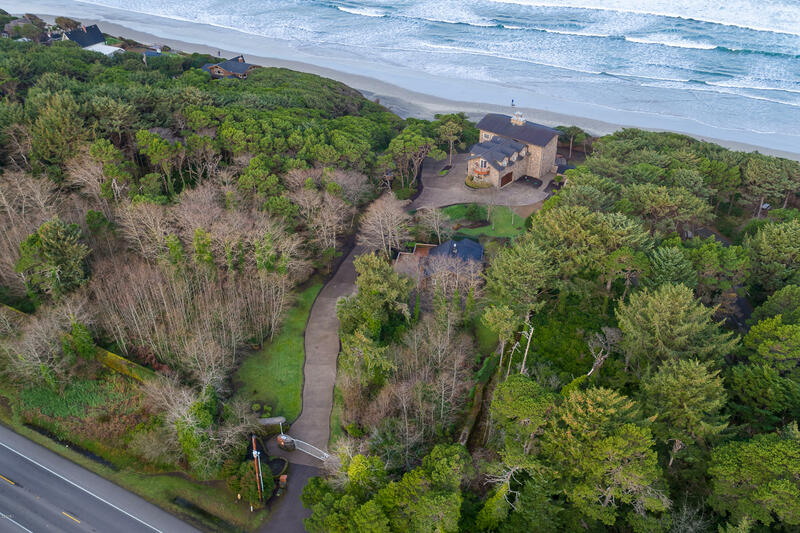 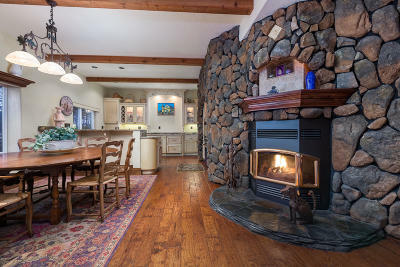 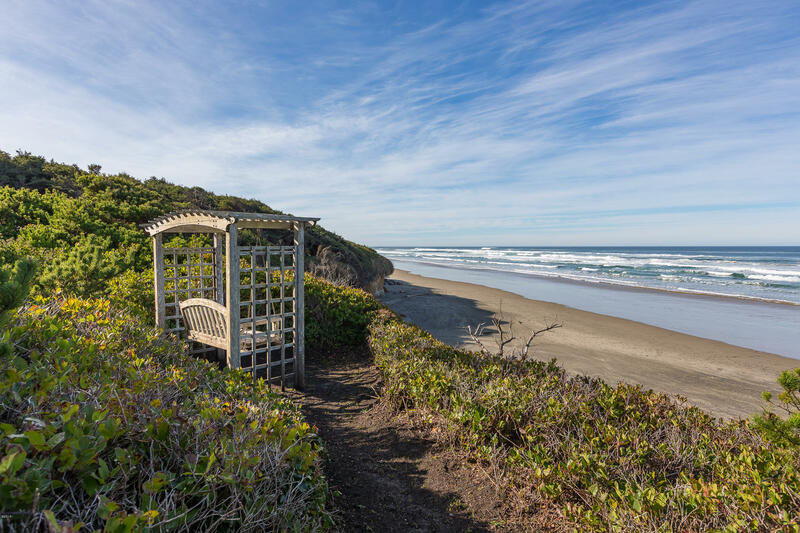 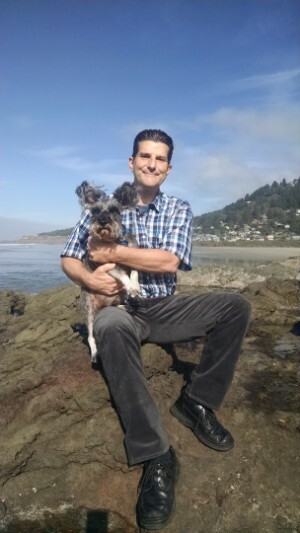 Storybook oceanfront villa estate on the scenic Oregon Coast. 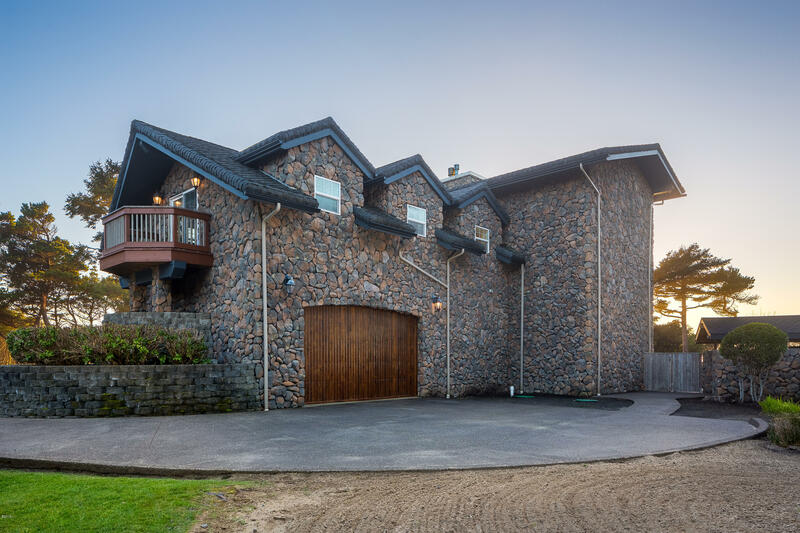 Almost 5 acres of oceanfront land with concrete block wall for security and comfort. 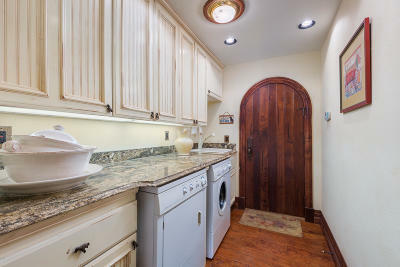 Gated private drive leads one over a stone bridge right out of your favorite fairy tale to the main villa on the ocean. 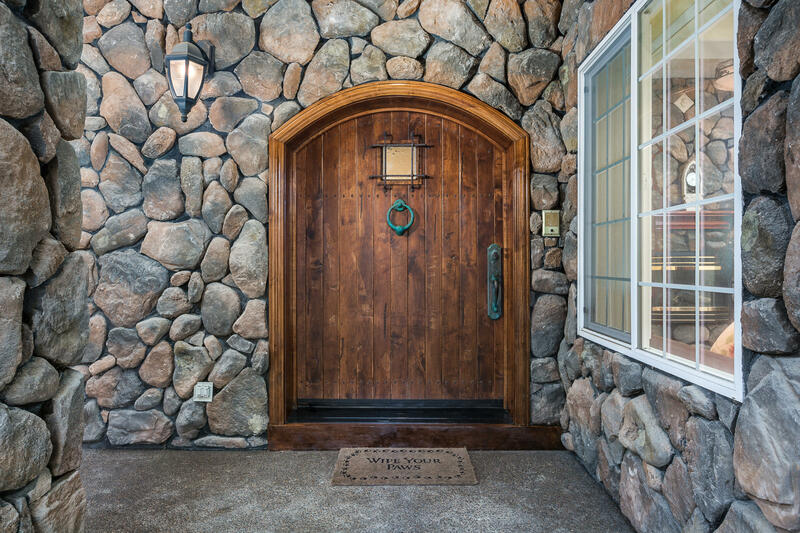 Dressed in stone on a seismic foundation, this home is built to withstand the ''huff & puff of any big bad wolf''. 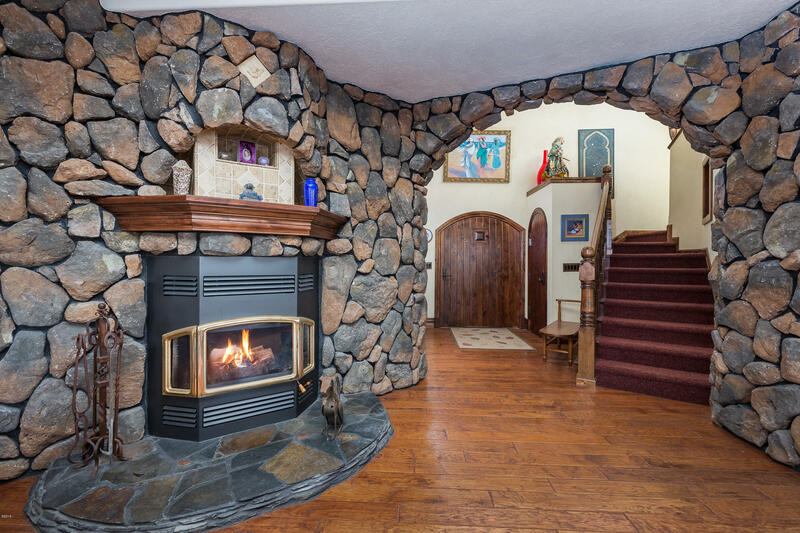 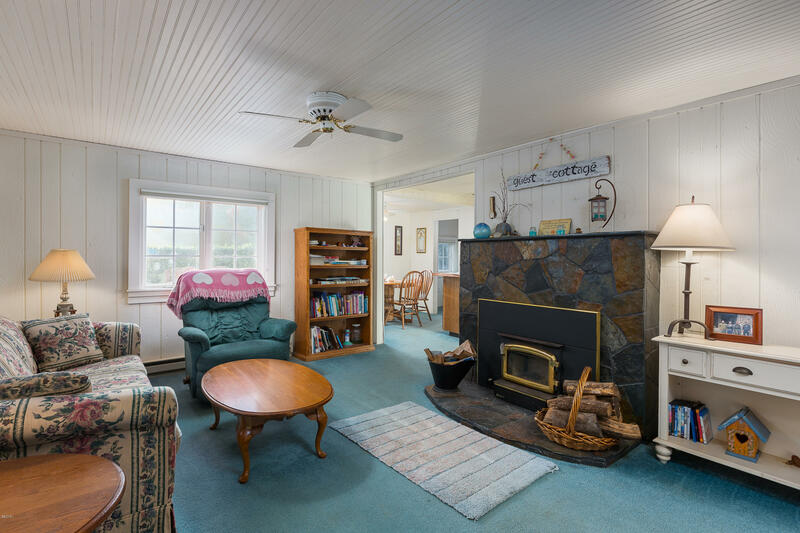 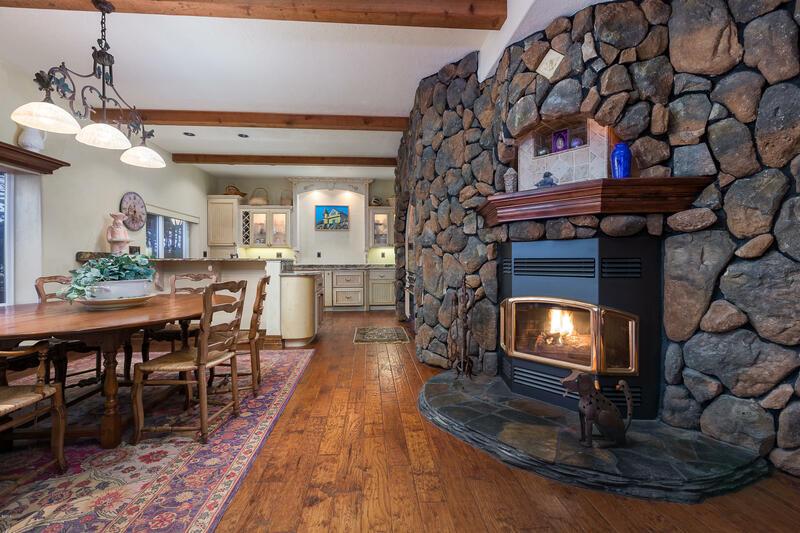 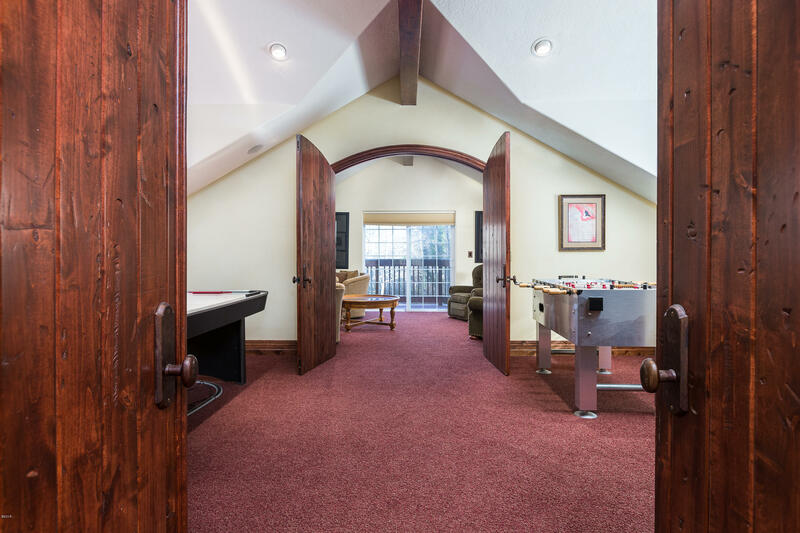 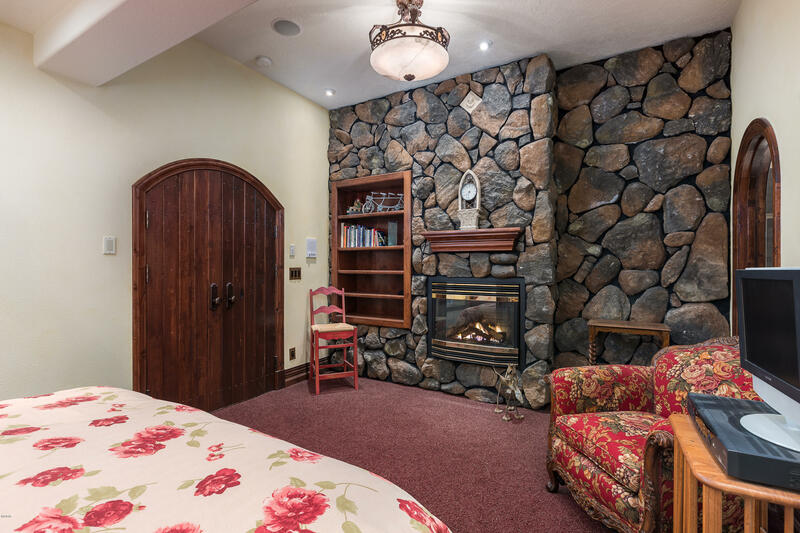 Open great room, gourmet kitchen, spacious master suite, hot tub, sauna, media room, guest suite, patio with fire-pit are just some the features of the main house. 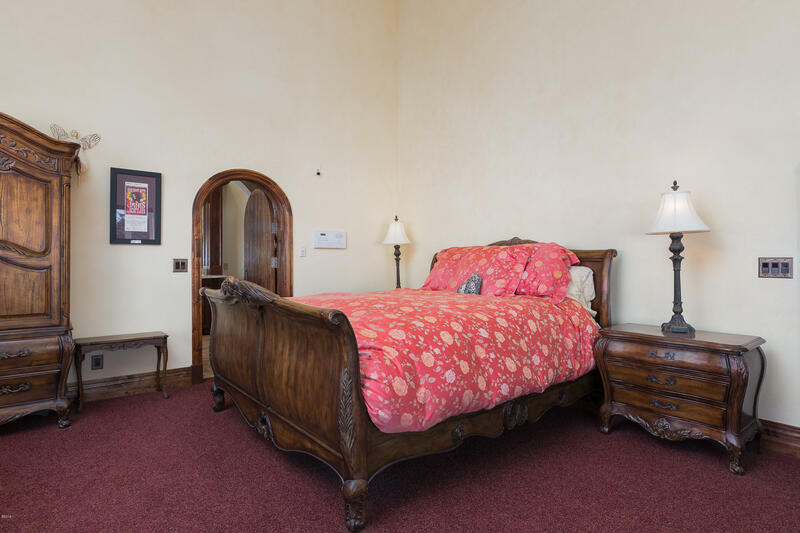 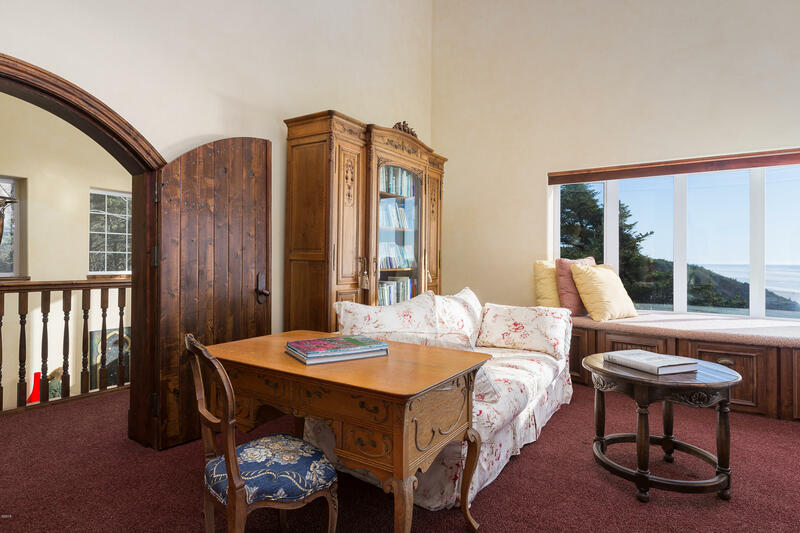 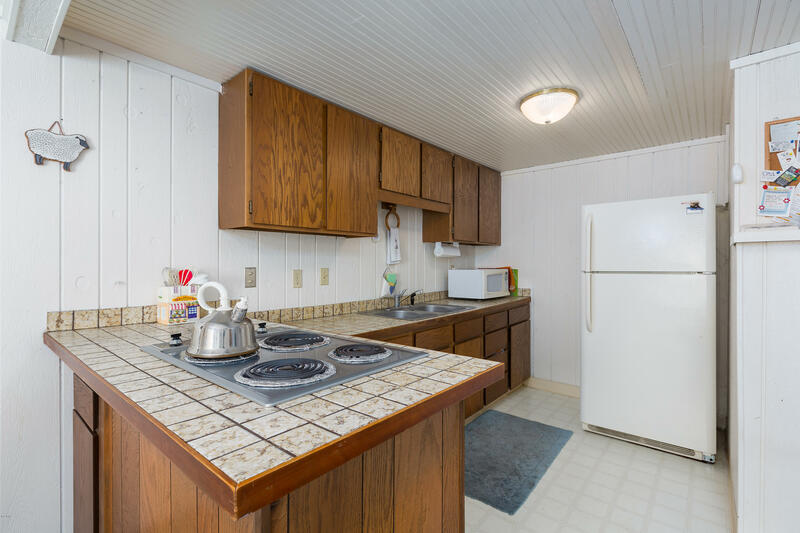 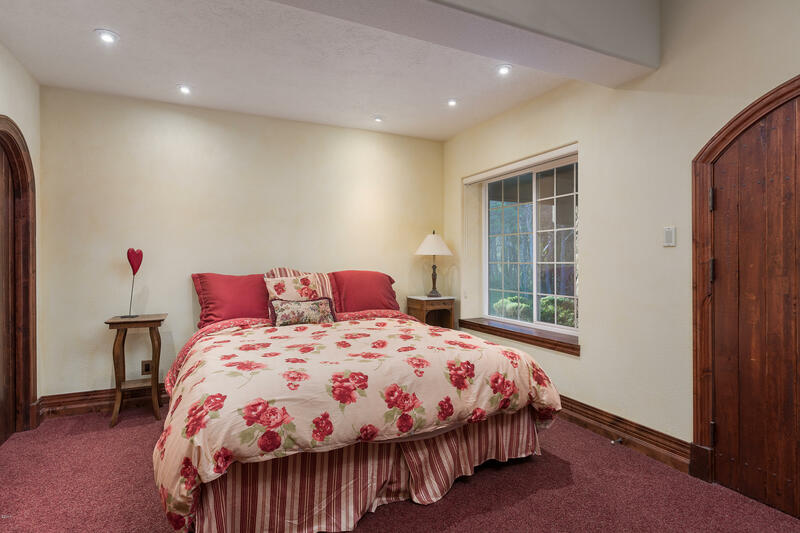 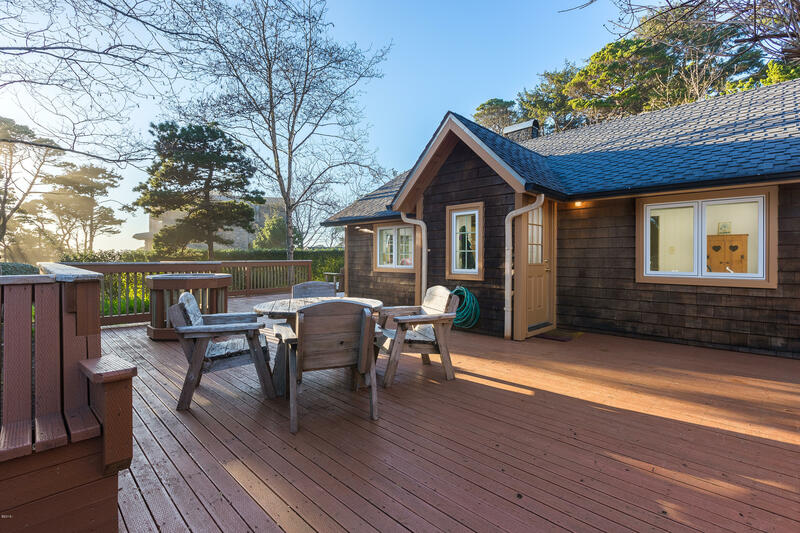 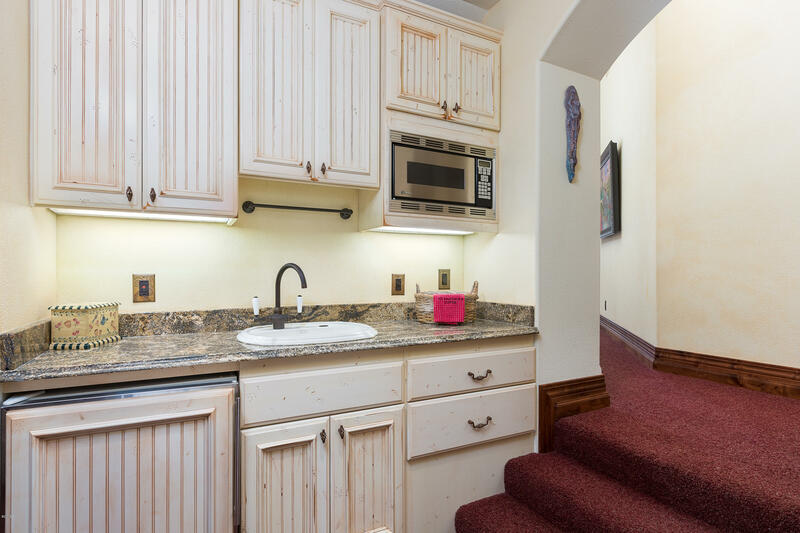 The separate guest house could also serve as a caretakers quarters and included in details. 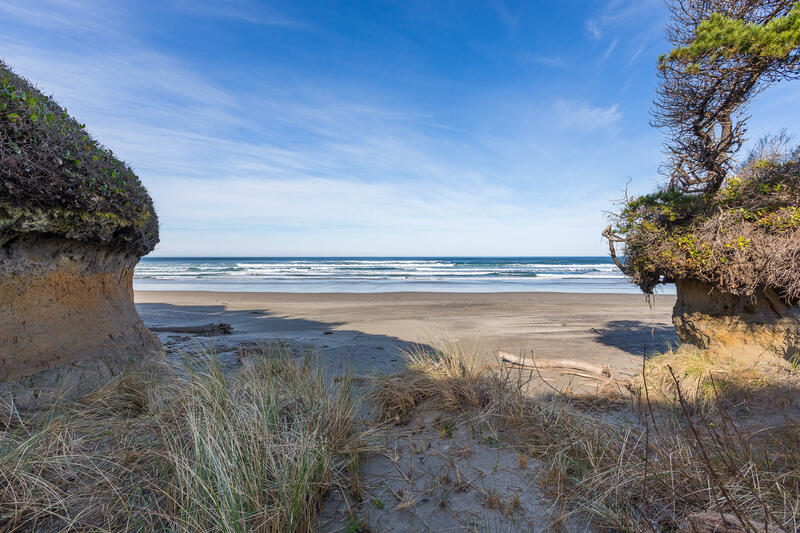 Beach access to miles of sandy beach, locally known as ''Happy Dog Beach''. 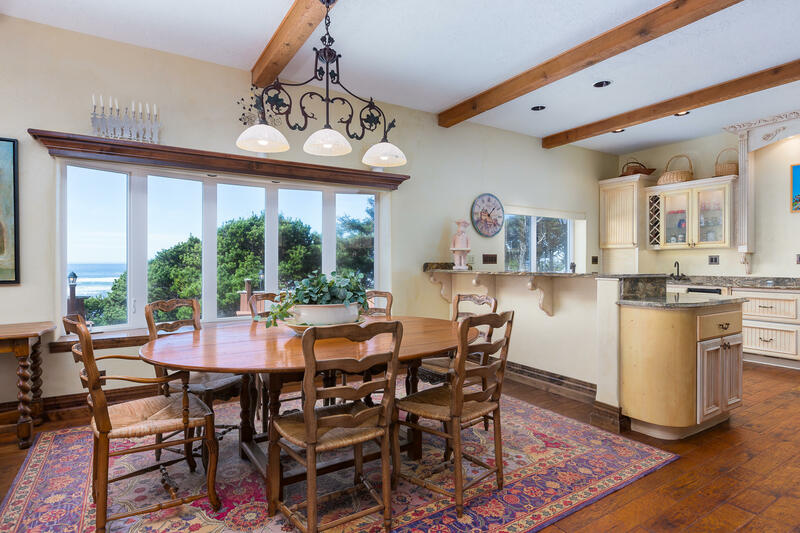 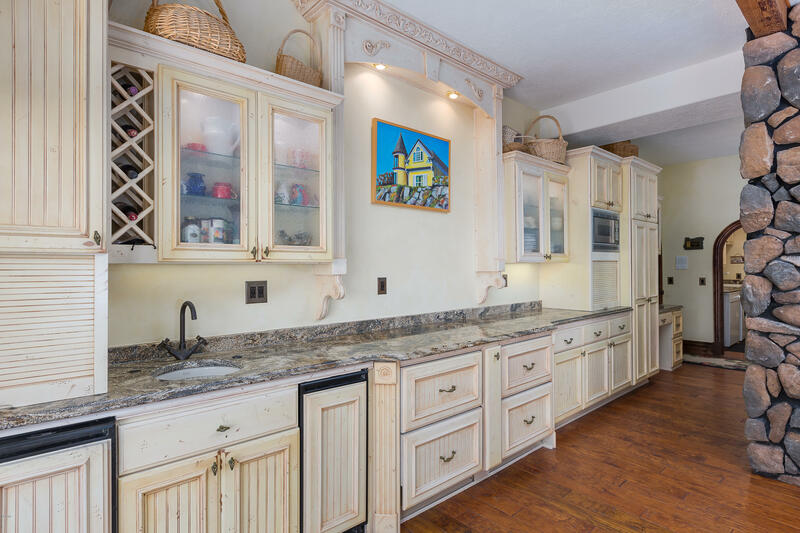 This coastal villa estate will bring out the happy dog in everyone!